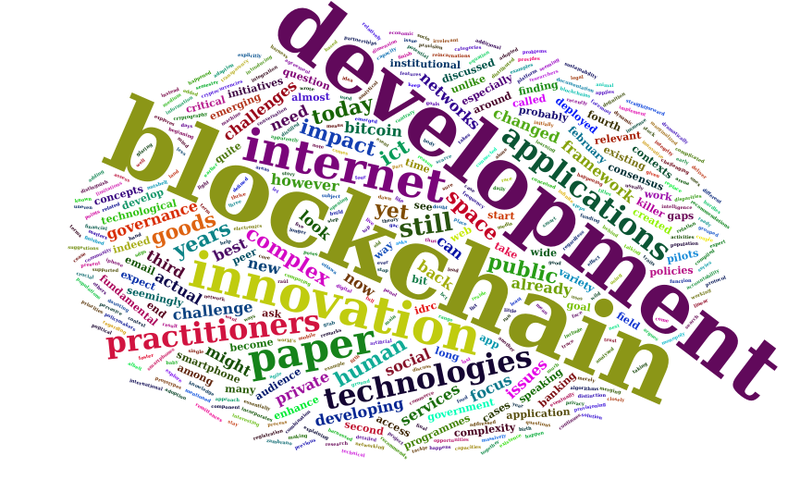 Many observers seem to assume blockchain technology is an immovable monolith. While such assumption does help when trying to explain how the technology works to the general public, this is indeed not the case when it comes to describing the actual status of the technology. Rapid and agile innovation is one of the core traits of blockchains, backed by impressive human talent with substantial financial resources, addressing not only some of its well-known limitations but also enhancing its core functionality. Blockchain technology is evolving rapidly and the best way to take stock, for now, it’s via frequent snapshots. In fact, keeping track of blockchain innovations could quickly become a full-time job. In any event, the monolith is not only moving. It is indeed flying at the speed of light. ICO Update: A Slowdown in Sight? 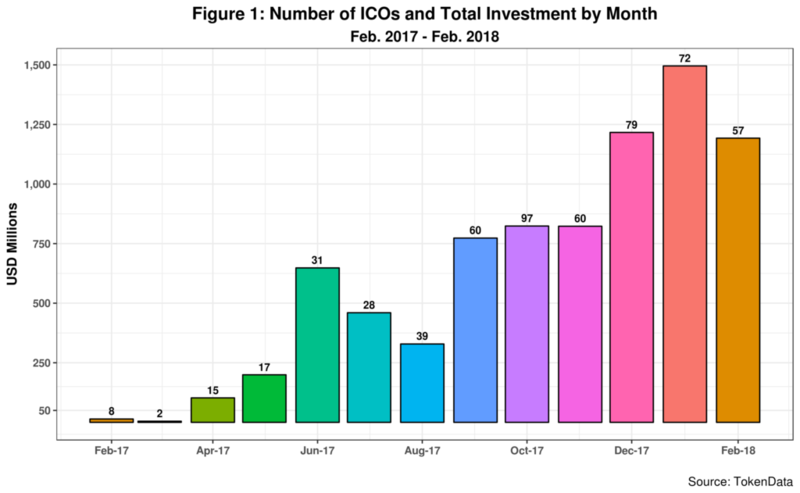 ICO data for last February is now available and shown in Figure 1 below. 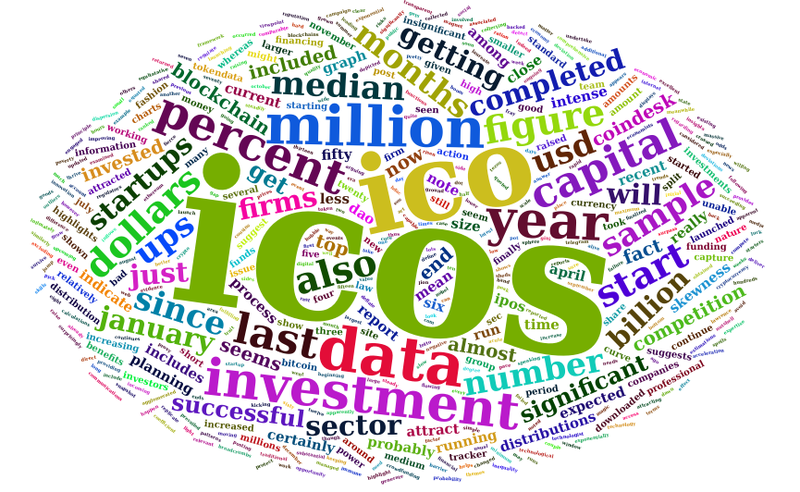 We can immediately see that both the number of ICOs and the total investment volume has decreased. The latter, which amounted to 1.2 billion USD for the month, is 20 percent less than the total for January this year. 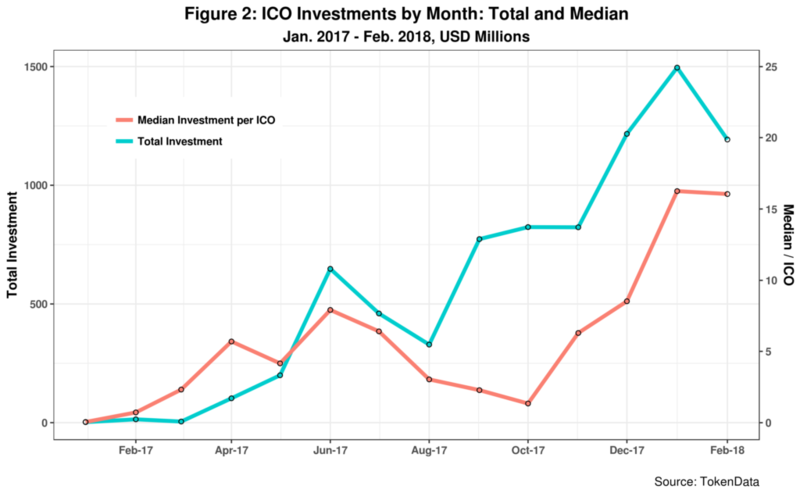 The same goes for completed ICOs which decreased 21 percent. 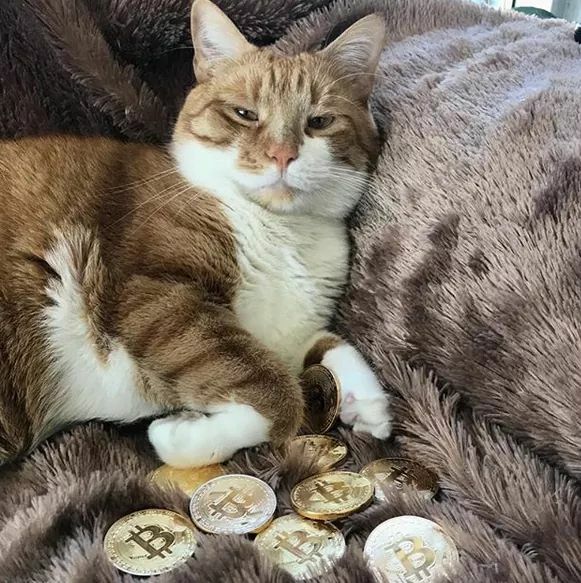 Among them, only one ICO surpassed 100 million dollars, reaching 150 million. And it managed to distance itself from the runner-up by a cool 100 million. Figure 2 confirms the decline in total monthly investment but shows that the median declined only slightly or about 1.2%. After remittances and land titles, refugees are perhaps one of the primary targets of blockchain technology (BCT) initiatives promoting development or social impact. Bitnation, Aid:Tech and the UN World Food Programme, among many others, are good examples. Last month, at a BCT meeting in New York, UN Women shared its plans to launch a blockchain lab in early 2017. And women refugees are a top priority in the lab’s agenda. Identity access and management (IAM) is perhaps one of the areas where Blockchain Technology (BCT) could make a real difference. 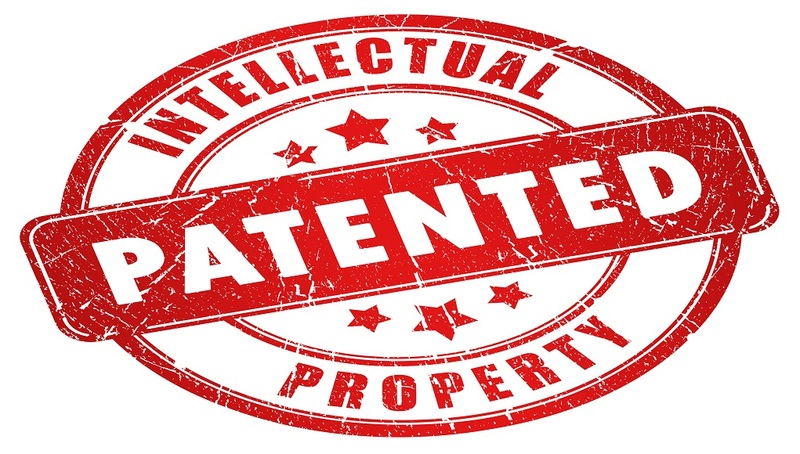 Research I am currently undertaken indicates that over one hundred BCT startups around the globe are focusing on this area. Add to this number the many other startups and organizations who have been engaged with digital identity for many years now but do not use BCT.1 See this report by OneWorld Identity for details and examples. Also, factor in target 16.9 of the UN Sustainable Development Goals (SDGs) that explicitly calls for universal legal identity provision, including birth registration for all children around the globe.2 Links to other SDG targets are listed here. The ID2020 global public-private partnership is now spearheading these efforts. 1. ⇧ See this report by OneWorld Identity for details and examples. 2. ⇧ Links to other SDG targets are listed here.